Fleet Managers...Are Your Snowplows Ready for Winter? With winter approaching, now is the perfect time to give your current snowplow, or your entire fleet, a thorough inspection. An effective maintenance plan enables your snow-removal equipment to operate as intended—and also ensures long-lasting reliability. Salt, snow, sand, ice and other foreign substances corrode the electrical wiring and other components in every snowplow you own. If you made in-season repairs to keep your equipment running, you should check wiring connections, terminals, modules and other components now that you have the time to ensure repairs were properly installed and not just temporary Band-Aids to make it to spring. Once you’ve dealt with the necessary fixes from last winter, it’s time to look and plan ahead for the coming season. This helps ensure your snowplow, and the entire fleet, will meet recommended performance standards. Check and maintain electrical wiring and connections. Now is a good time to apply dielectric grease to ensure longevity of your connection points and create a proper seal. Dielectric grease helps create extra insulation for electrical connectors, prevents arcing and is ideal for any electrical connections with rubber gaskets. Neglecting to do so could cause costly problems down the road, when you’re on the road and can’t afford mishaps. Check and top off fluid levels. Low levels impede blade lift and overall plow performance. Inspect below the plow, checking for leaks. These can be caused from damaged O-rings, a leaky pump unit or pump shaft seal. If you detect leaks, consult a hydraulic expert for repairs. Be sure to inspect all lines to make sure they don’t show leaks, and are free from wear, cracks or cuts. Backup alarms. Make sure these are working properly. The Grote Grommet Mounted 4" Backup Alarm is good selection for advanced warning audio. You can also wire in a SPST switch to only operate these alarms while you are plowing. Warning lights. We recommend 360-degree warning lights for maximum visibility. The Star Warning Systems Dome Mini LED Light Bar is a great choice for snowplows. Make sure all warning lights are in working order, and that headlamps and turn signals are working properly. Replace if necessary. Some states are now using color combinations for warning lights on snowplows. Check with your state motor vehicle department to see what lights combos are mandatory, and which ones are cosmetic. Battery systems. With multiple accessories running while plowing, it’s likely that you have a dual battery set-up—one for starting the motor and a second to power accessories. One upgrade to any dual battery system is to add a multi-battery isolator. This will help eliminate multi-battery drain, and some products offer start assist to your primary vehicle battery, so you’re never stranded in the cold. With a Cole Hersee 200A, 9-16V Smart Battery Isolator, you’ll enjoy optimal power distribution and reduce the chances of having a dead battery. Cameras and visibility accessories. Backup cameras have become one of the most effective safety components for today’s plows. The technology for these cameras have come a long way. Some offer video recording, bird’s-eye views and multi-fixed point of view for obstructed angles. Some even have infrared LEDs for improved night vision. Every state has its own laws applying to snowplows. Some states are requiring an additional permit and warning lights that run at all times for plows that extend beyond 1 meter from the front bumper. 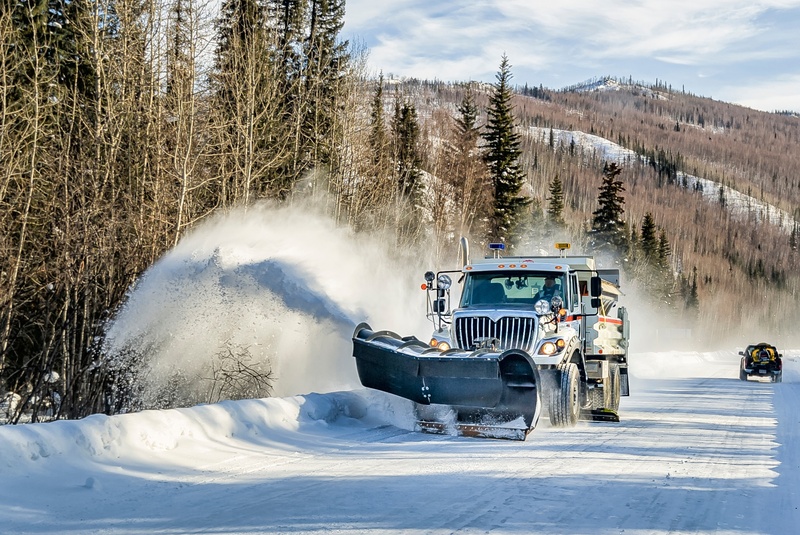 Now is a good time to check with your state motor vehicle department to see what regulations are new and require upgrades to your plow and fleet. If you need replacement parts for your snowplows electrical system, call Waytek at (800) 328-2724 or visit www.waytekwire.com. Our phones are always answered by a live person and over 99% of in-stock orders submitted before 4:30pm Central ship the same day. Check all fasteners, making sure they are tight. Torque specs can be found in your owner’s manual. Inspect all welds for any signs of cracks or damage. Cutting edges should be inspected to see if uneven. Check bottom trip spring to make sure it is in good condition. Check electrical routings and make any necessary adjustments. For connections with rubber gaskets, apply dielectric grease for better performance. Check vehicle battery. Make sure terminals are tight and free from corrosion. Check for leaks. This includes tire pressure, engine oil, brake fluid, transmission fluid and hydraulic fluid. Check all gauges and defroster, and replace windshield wipers. Drain and replace hydraulic fluid. Check that all plow functions are working—raise, tilt, lower and scope. Check headlights, warning lights, brake lights and turn signals.